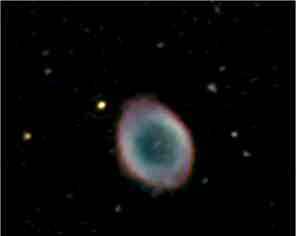 Increasing light pollution makes CCD imaging one of the few methods that allows a suburban amateur astronomers to 'observe', in detail, deep sky objects. The equipment usually required in addition to a good driven scope is a cooled CCD camera some form of guider and a method of obtaining and processing the images. The entry level costs into this fascinating branch of astronomy is between £500 - £1000, with cameras being marketed towards experienced amateurs for £8000. Webcam astro imaging has offered a more accessible route. Firstly the original black and white quickcam was modified by David Allmon to give an uncooled astro ccd. Considering the cameras limitations it has produced amazing results recording the faint fuzzies. The only fly in the ointment is the camera production was ended a few years ago. Also the supply of second hand camera is drying up with prices on ebay reflecting demand. The modern webcams and video cameras are locked into producing many frames per second making the long exposures required for deep sky imaging impossible. 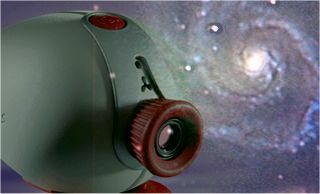 Webcam astro imagers have had to limit the choice of targets to the planets, but still produced images that shame many more pricey dedicated astro-cameras. Recently advances have been made with off chip integration (as know as video integration). Instead of the photons being recorded on the chip for, say, 10 seconds images of much shorter exposures are summed to give the same total exposure. This is a major advance but still can not match true on chip integrations. .. Hardware/software modifications which alter the timing patterns of modern webcams to yield true long exposures. The next couple of pages detail modifications to a trust spacecam 200 and a Philips Vesta which allow long exposures. These mods put deep sky objects firmly back into the grasp of those on a limited budget. I do not guarantee that your camera or PC or yourself won't get damaged as a result on making these modifications or that the software won't do the same. I won't even guarantee that if you get it right it will work! 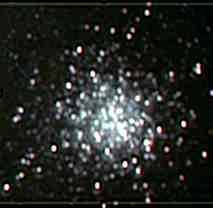 What I can guarantee is a big grin the first time you pick up a deep sky object with a web cam. The novel information on these pages is copyright. It is forbidden to use this information for profit. Should you receive any money as a result of performing this mod or selling a modified camera send the money (less parts) to www.msf.org. Over the last year I have received some requests from people who are looking for a way round these restrictions. I would like to take this opportunity to specifically state that it not OK to give modified cameras away free with other products nor is it OK to charge people for you time when going mods for others. Any individuals or companies wishing to produce commercial products based on these modifications please contact me directly smunch@clara.co.uk . Please abide by these restrictions, as this will ensure that future developments can disclosed in the same way.